I'm new to fishing and I was wondering if there are any good fishing spots around Calgary that is noobie friendly. I'm looking for some fishing spots where you are allow to keep the fish. I've been scanning these forums and a lot of good things about Pine Coulee Reservoir, but I know you are not allowed to keep any Walleyes caught there and there is a 3 fish limit on Pike. I was just wondering if there is any spots where you can find some good catch and you are allowed to keep them. I'm kind of desperate since it's almost Father's day and I would like to go fishing with my dad. He hasn't been having the greatest luck this year and it would be awesome if I can find a good spot for us to spend the day fishing. Cheers guys and good luck on your fishing trips. We've been to Allen Bill Pond and Glenmore, didn't have much luck. I went to Dewitt's yesterday and got skunked. It seemed quite slow, only a couple of people got some small trouts. Thanks for the suggestions though, will probably head back to Dewitt's and try again hope for better success. Is McLean better than Allen Bill? I thought that pond is stocked less. I'm very curious about the winter kill potential, since these ponds are stocked every year wouldn't there be a lot of fish accumulated over the years if winter kill doesn't occur? Mcleans doesnt get fished out nearly as fast and its alot muddier/murkier than allen bill. The trout in Dewitts are very small as well. My suggestion is dickson trout pond then. Just south of spruceview beside glennifer lake. You should be able to get good size trout there on just worms and I doubt you will get skunked if you go for a few hours. Chain lakes is great rainbow fishing. I watched an old couple sit on shore in their lawn chair, just using a rig with corn. They hauled in their limit in no time. Some real nice beauties. I've always caught fish there. Never been skunked. About an hours drive. Thanks for the suggestions guys. I was looking at the alberta fishing guide website trying to find these places. I got quite confused. Dickson trout pond, where is that? On the map it looks like it's just north of the Dickson Dam, is that correct? Also with regards to Chain Lake, I assume you are talking about Chain Lake Reservoir? Are there any specific access roads or anything? South on Hwy 22, you'll run right in to it. 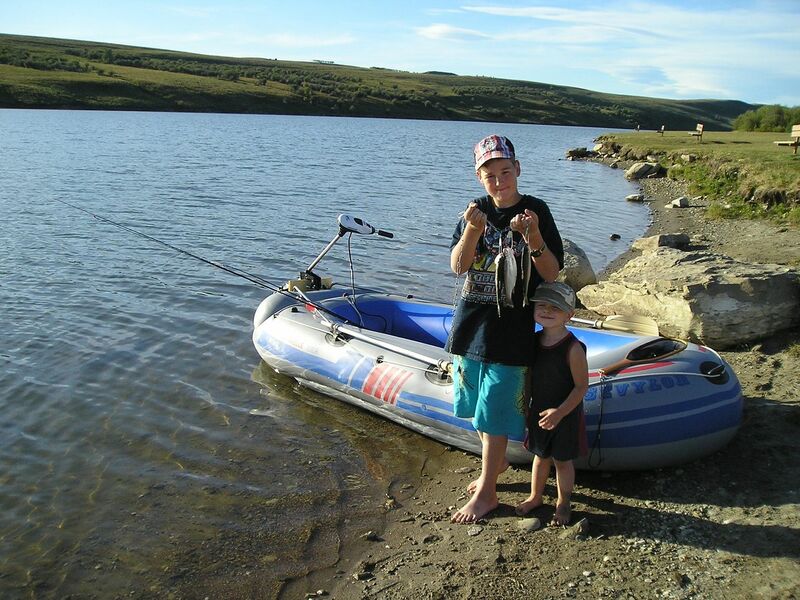 Whats the best part of Chain lakes to fish in from shore? PM Me I have a few tips on Chain Lakes! that I catch the one that got away! Tight Lines and Wet Nets! Just look at this website, and then go catch the trout soon after they are stocked. Lol, you don't say??? Kind of thought that was a given, obviously Hwy 22 doesn't drive right into lake.... Pretty hard to miss though, if you get onto Hwy 22 (somewhere north of Longview) and head south. Am I missing something??? They don't have chain lakes listed on there, it is stocked right?? I would recommend learning the Bow as well, it's not a catch and keep fishery but it can be really fun, and depending on where you live really convinient to fish. It's not all that fishable(not impossible but not primetime either) now but in a few weeks you should be good to go. Chain Lakes (<--- clicky) Good pictures there. I've heard there's good fishing at the north end by the dam. But there's only room for one or two cars, and then its a good 2 to 300 yard hike through a farmers fence down to the water. 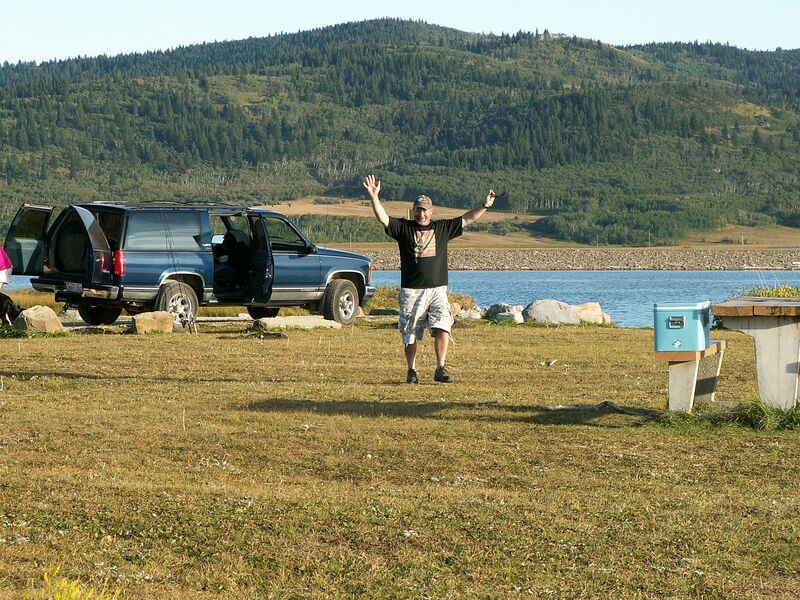 I found just parking at the day use (close to the boat launch) was so much easier. Playground for the kids. Washrooms. Picnic tables. Benches. And we had no problem catching fish. If you don't care about keeping fish and just want to catch some, give Pine Coulee a try. Go south on hwy 2 (deerfoot) about 20kms past Nanton you'll come to sign for Stavely turn right (west) at the sign and head west, it's not that far, you'll see a road and parking lot on the right before the bridge, park there and walk down. toss a pickerel rig with minnows and you'll catch walleye all day long. Not the biggest and ya can't keep any, but a great place to take the kids or the elderly to have fun and catch fish. Or go over the bridge and at your second left past the parking lot on the west side of the bridge turn left follow the paved road south till right before the road turns right you'll see signs for a boat launch go down and fish off the dock. I was at McLean Creek pond and Allen Bill pond this morning. Unfortunately Bill Allen pond no longer exists - destroyed by floods and now is straight river - and the McLean pond was extremely tough go; could be fished out by now.